Highly concentrated petrol fuel additive for cleaning injectors and the the fuel injection systemT his fuel additive cleans pipes, pump, injectors, valves and combustion chamber. Since the 90s, all newly manufactured cars with petrol engines have had an injection system. The injection system helps to meet global environmental requirements, to limit fuel consumption and to reduce exhaust gas emissions. As a car with an injection system or carburettors becomes older, dirt in the form of carbon accumulates in the engine, the intake system and the petrol injectors. The injectors and the intake system become blocked as a result of the fouling and more petrol has to be supplied to the cylinders to maintain sufficient power. The consequences of this are that fuel consumption and emissions increase considerably. 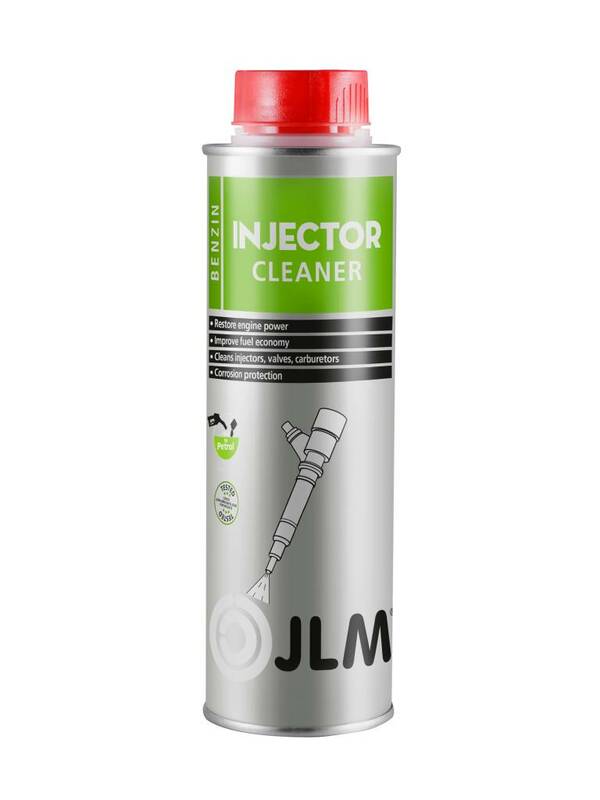 JLM Petrol Injector Cleaner cleans the entire intake system, including the intake valves, combustion chambers and tops of the pistons and cylinders. Fuel System Cleaner Pro ensures an optimally clean fuel system including the injectors and restores the injection pattern. JLM Petrol Injector Cleaner removes the fouling in the intake system and with it the emission of hydrocarbons (HC) and CO2. This check is included in a car's periodic testing during the MOT test. Many cars with HC emissions that are too high do pass the test after treatment using JLM Petrol Fuel System Cleaner Pro. 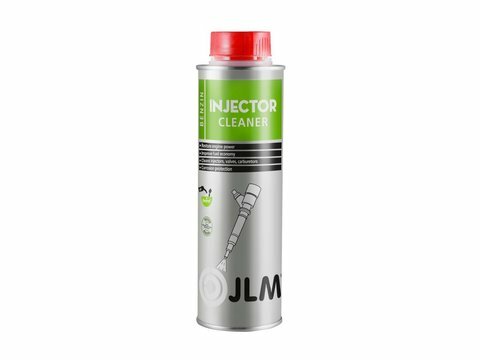 JLM Petrol Injector Cleaner contains a small concentration of octane booster. The octane booster improves combustion of the fuel in the engine which increases the power and reduces fuel consumption and the amount of harmful exhaust gases.